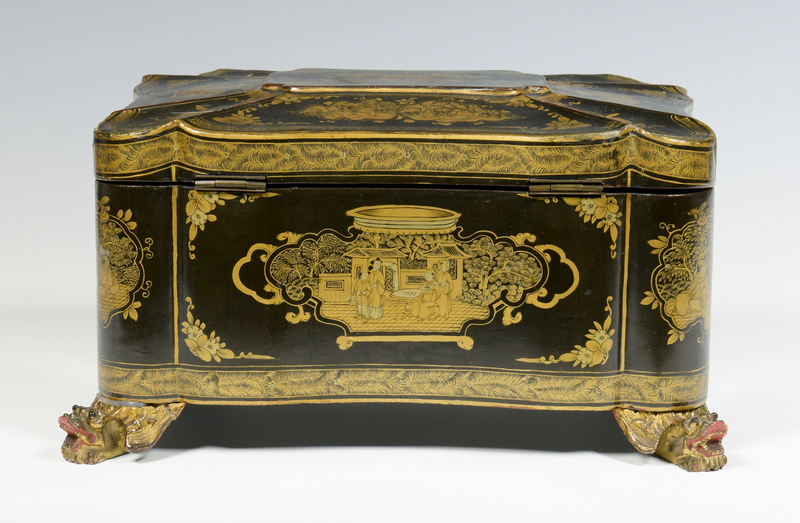 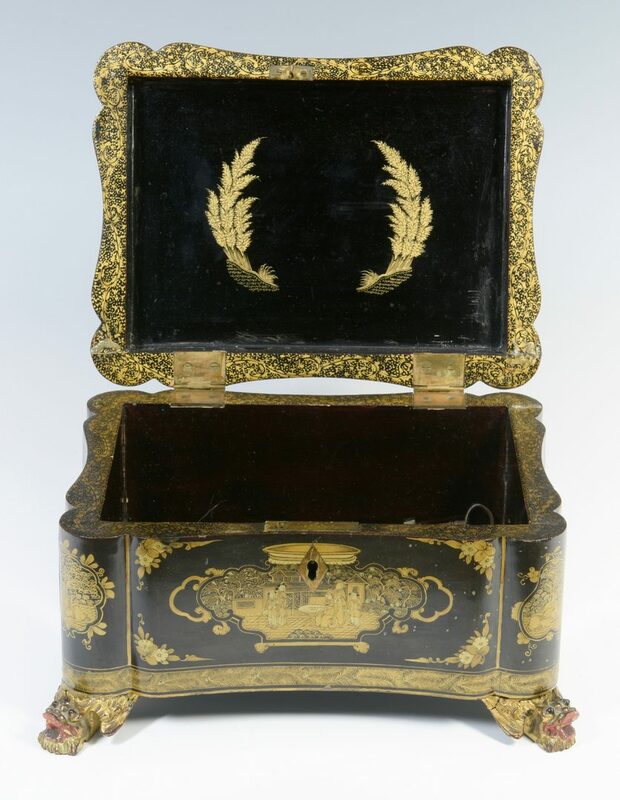 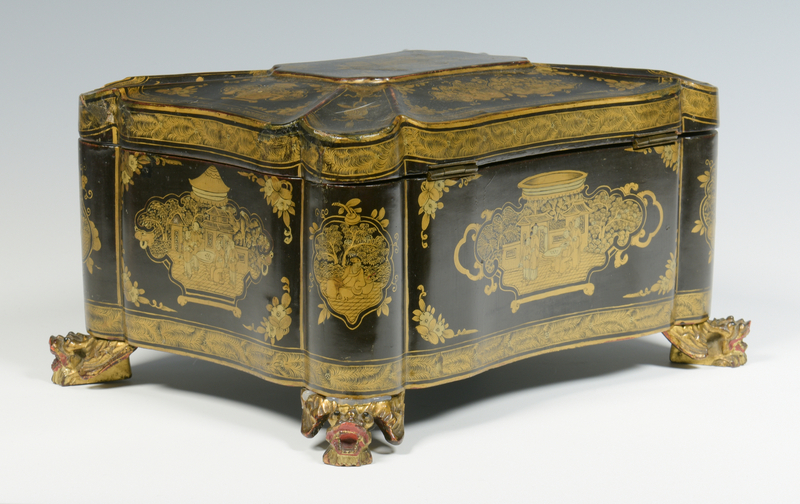 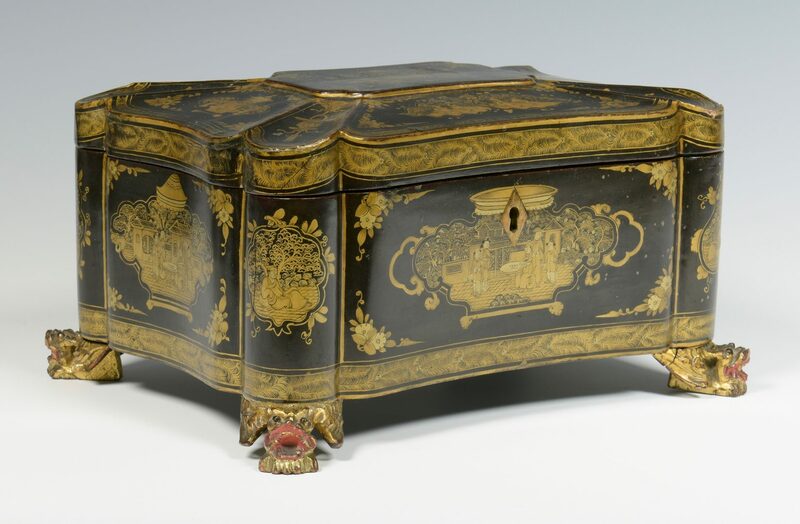 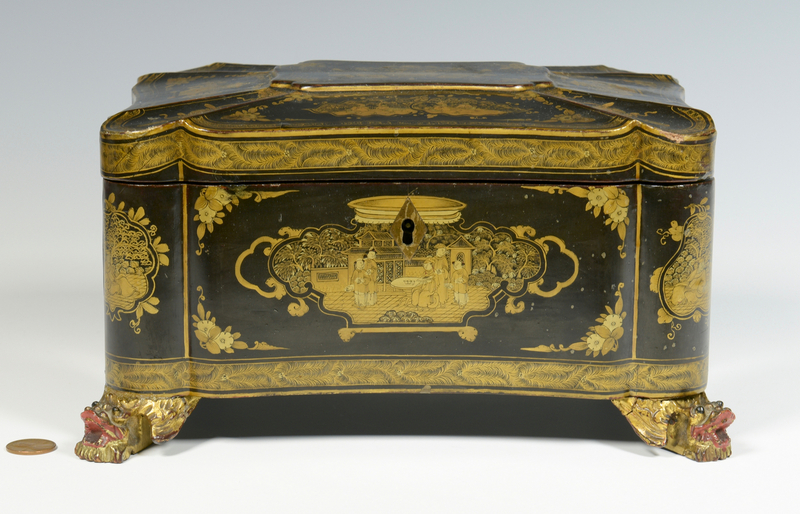 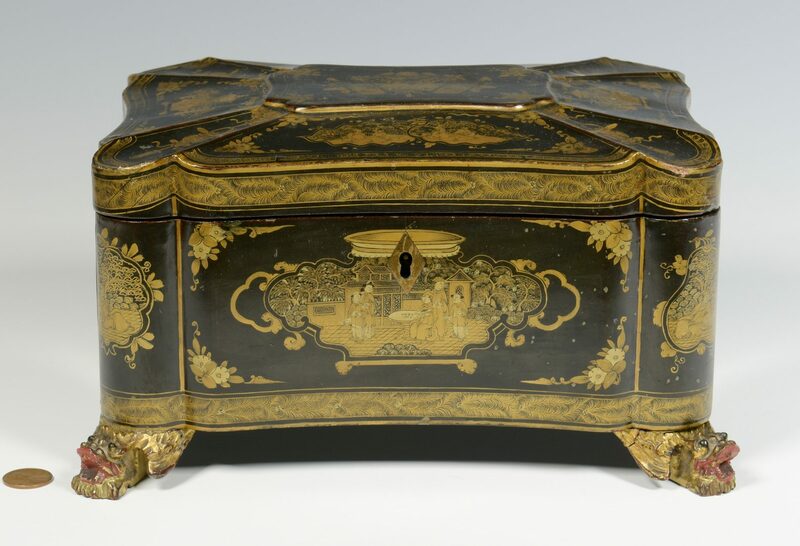 19th century Chinoiserie jewelry or sewing box, sarcophagus form with serpentine sides, gilded vignettes of figures engaged in various activities, divided by images of lanterns on top, elaborate court scenes on sides, empty interior. 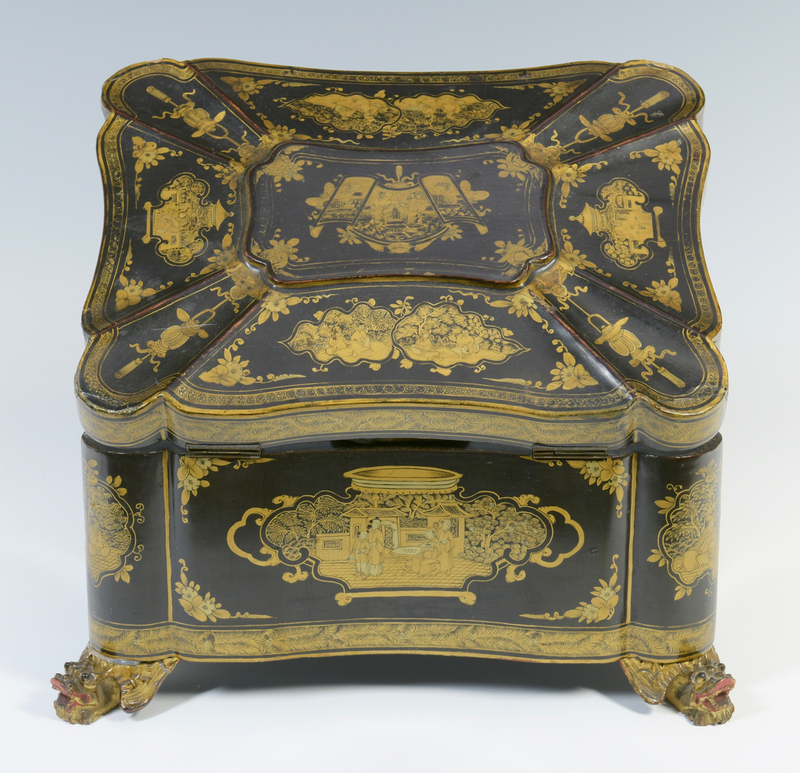 Raised on gilt and enameled winged dragon feet. 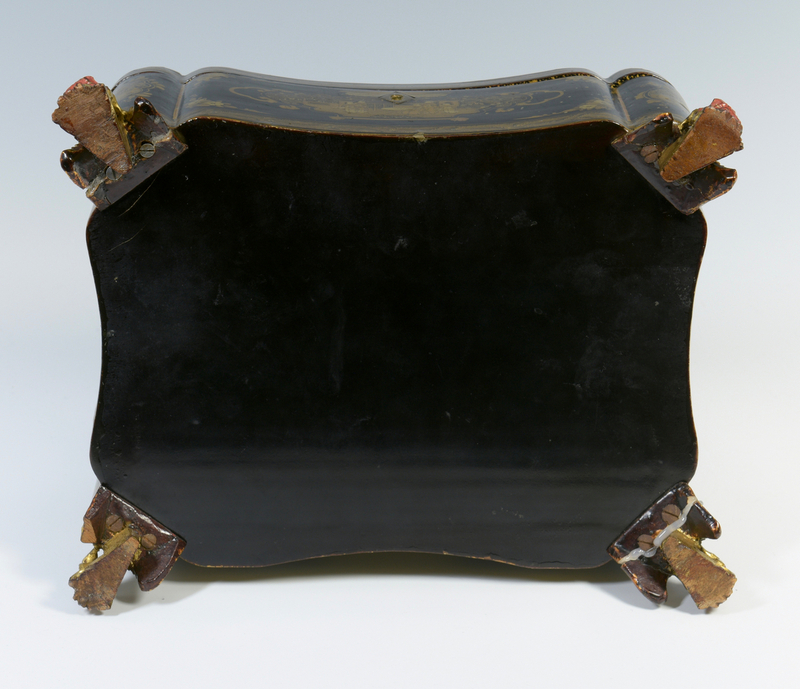 5" H x 9 1/4" W x 8" D. CONDITION: Two feet broken and reglued. 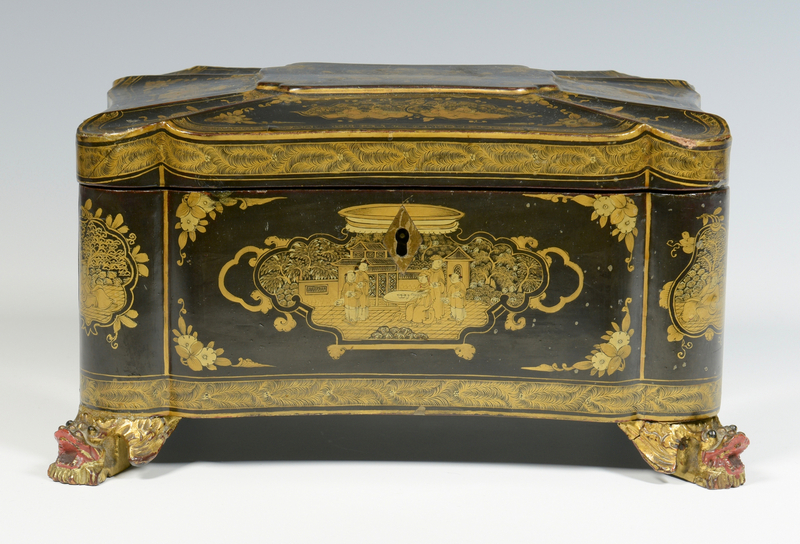 Some minor light edge wear. 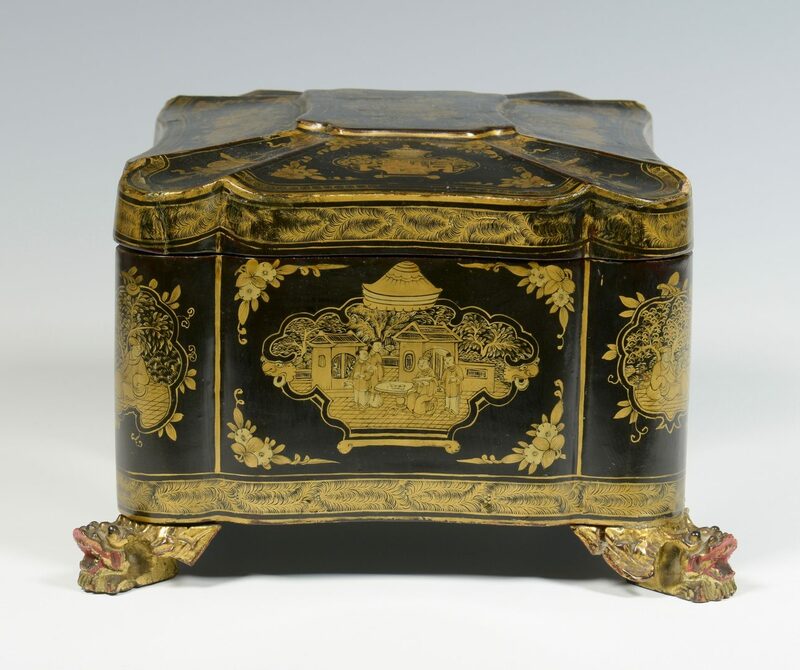 1" crack to interior side.